The agreement was based on the “concept promoted by the Russian president and fixed in Russia’s foreign policy,” the Russian Foreign Minister said. The nuclear deal agreed between Iran and the P5+1 group is a win-win situation for everyone, Russian Foreign Minister Sergey Lavrov said, adding that it only became possible after Iran’s new president, Hassan Rouhani, came to power. “The very long and difficult negotiations on the Iranian nuclear program have ended, an agreement has been reached, and this deal crowns [our] longstanding relations, during which we’ve seen both ups and downs,” Lavrov told journalists. The agreement was based on the “concept promoted by the Russian president and fixed in Russia’s foreign policy,” Lavrov said. Russia is “ready to continue the enduring search for a mutually acceptable, wider integrated solution that will ensure Iran’s inalienable right to develop a peaceful nuclear program under IAEA control and the security of all countries in the Middle East, including Israel,” he said. The deal means that the International Atomic Energy Authority will have an expanded role in controlling Iran’s nuclear program. 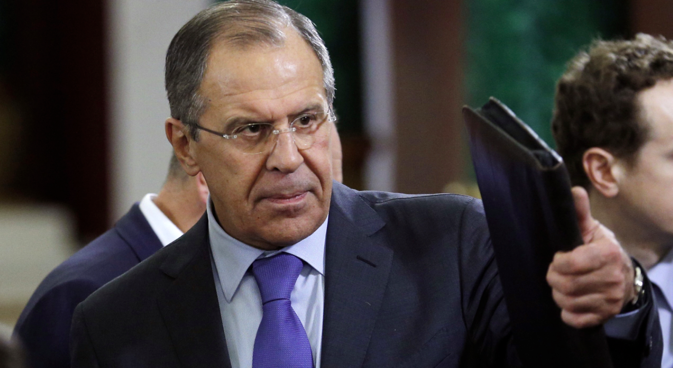 The pressure on Iran should be reduced by cancelling unilateral sanctions, Lavrov said. “We didn’t recognize those unilateral sanctions, and I think it would be right to reduce them,” he added. Under the Geneva agreement, Iran has pledged to freeze its nuclear program for six months while the P5+1 countries and Tehran seek a permanent agreement, Lavrov said. This time is needed to figure out “the parameters Iran will require for peaceful nuclear activities, fuel production, nuclear power facilities and nuclear research reactors which produce isotopes for medical and other humanitarian purposes,” Lavrov said. Resolving the dispute over Iran’s nuclear program could also help to resolve the Syrian conflict, too, by “involving Iran in the constructive work” on this problem, Lavrov said.